A growing number of Syrian refugees in Germany are seeking to return to Turkey as a new German legislation has introduced new barriers to family reunification, local media reported on April 12. German broadcaster ARD reported that its correspondents documented the journey of several Syrian refugees who sought to return to Turkey by paying hundreds of euros to human smugglers. The refugees wanted to return to Turkey because they could not receive permission from German authorities to bring their family members who had fled to Turkey after the Syrian civil war broke out, the report said. The EU’s largest economy has accepted more than 700,000 Syrian refugees since 2015, but amid domestic political pressure, Chancellor Angela Merkel’s coalition government introduced barriers to family reunification. A cap of 1,000 people per month was imposed on who could come to Germany for family reunification. Family reunification was a hot issue in last year’s elections after media reported that around 390,000 refugees could apply for this right and bring their spouses and minor children to Germany. The far-right Islamophobic Alternative for Germany (AfD) alleged that family reunification was an “incalculable risk” for the country and called for severe restrictions. Meanwhile, several hundred thousand Syrian refugees have been able to return to their homes since the Turkish military started operations in Afrin, the Syrian region bordering Turkey. There are, however, still around three million displaced Syrians in Turkey. Yeh, I know we’re great – I mean great-ER! To be scrupulously fair, I checked out Mrs Clinton’s site too. The only thing I could find vaguely resembling a slogan was “Join the official campaign—and help stop Donald Trump!” Now whether that’s because Mme Hillary is so out of touch with reality that she still believes in the American dream and the greatness of America, or whether she thinks getting back there is a lost cause, I can’t say – but it got me thinking. What exactly was it that made America great? Normally I find Google very helpful. I go to it in times of trouble, as the Beatles and others once went to Mother Mary. This time I just ended up confused. It seems books have been written on the subject, but I wanted a quick answer. You know, something like: George Washington; Abe Lincoln; mom and apple-pie; or black slaves from Africa. Well, I can tell you, it’s not that simple. Was it The Constitution? Free-market capitalism? Was it because God was on their side? Did Harry Truman and Arthur Vandenberg have something to do with it? Was it all about conquest and greed? Personally I liked the sound of “The Constitution” – until I learned that even Ben Franklin, according to Wikipedia, had doubts about it at the time. There have been 27 amendments to the original document, including No 2, which allows certified maniacs to carry assault rifles and massacre school children in their classrooms; and No.6, officially protecting “the right to a fair and speedy public trial by jury, including the rights to be notified of the accusations, to confront the accuser, to obtain witnesses and to retain counsel” – which would seem to preclude institutions like Guantanamo, and summary assassination by drone strike. The 18th Amendment of 1917 actually prohibited the manufacturing and sale of alcohol within the United States, until it was repealed in 1933. On the other hand, some seemingly worthwhile suggestions have been rejected, for example a proposal to limit, regulate and prohibit child labour, which has been languishing on the books since 1924. OK, smart-alec, I hear you say. What’s your idea? And I’m going to tell you. Out in the sea at the entrance to New York Harbour, a colossal statue stands on an island. Standing 93 metres from the base of the pedestal to the tip of the torch, the copper and iron figure is of a woman, the Roman goddess Libertas, The torch represents liberty bringing enlightenment to a benighted world, and the document under the goddess’s arm bears the date of the American Declaration of Independence. The statue was a gift to the United States from the government of France – from one shining beacon of liberty and equality to another, so to speak. Closely associated with the Statue of Liberty are the words from a sonnet written by poet Emma Lazarus: “Give me your tired, your poor/Your huddled masses yearning to breathe free”. Now I also don’t know, so I can’t say to what extent the respective governments of those two exemplary republics actually believed what they were saying when the symbolic lady was dedicated on 28 October, 1886. But let’s give them the benefit of the doubt. We’ve all seen Leonardo de Caprio in “Titanic”. It is certainly true that shiploads of poor immigrants from the Old World flocked to America in the 19th and early 20th centuries seeking a better life for themselves and their children. No doubt some of them found it, and their stories gave credence to the myth of the American Dream. After the abolition of slavery, their cheap labour may also have given a boost to the American industrial machine. But something’s changed, hasn’t it! The Big DT is right! The question is, however, is he the one to fix it? I’m not sure how his rants about restricting immigration relate to those words about sharing America’s fresh air (and wealth of resources) with the poor huddled masses of less fortunate countries. Still, at least he’s talking about immigration, even if he’s against it. Hillary’s preferred solution seems to be, bomb those poor tired sods before they can even get on a plane and head in our direction. As for France, that self-righteous paragon of liberty, equality and brotherhood, you may have seen the news report from Nice where four armed police wearing body armour rousted up a burkini-clad Muslim woman napping on the sand and forced her to remove her clothing. That’s FOUR ARMED police! And the woman wasn’t even in the sea – just lying on the beach minding her own business. Seems it is not only illegal to wear a burkini in the sea in France, it is actually compulsory for women to wear almost nothing while sunbathing! Where are your bikinis, girls? Then an Italian imam with a sense of humour posted a photo on his Facebook page of seven Catholic nuns wearing grey and white habits frolicking in the sea. According to reports, he got two thousand Likes in a short space of time before the champions of social media freedom of expression shut down his account. So who is the new champion of liberty and the so-called “American” Dream? My vote goes to Turkey. There are now close to three million refugees from war-torn Syria in Turkey. 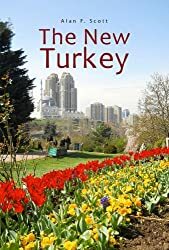 Some voices have been raised in protest, but on the whole the government and people of Turkey have lived up to their reputation for hospitality by allowing these tired, poor, mostly blameless, displaced masses to escape from the horrors in their native land. One family’s story was recounted in our local newspaper yesterday: A young Syrian, Zaher Battah, graduated from the medical faculty of Aleppo University in 2006 and went on to specialise in heart and vein surgery at the University of Damascus. He married his wife in 2011 and they had a son, Enver. Then civil war broke out. Fearing for his family’s safety, Dr Battah escaped with them to Lebanon in 2014. Sadly, their little son was diagnosed as autistic. Thinking that the child would get better treatment there, the couple moved to Turkey. However, because of local regulations Zaher has been unable to work as a doctor. Formerly earning $5,000 a month in his own country, he is now struggling to pay for little Enver’s treatment, working as a tailor in Izmir for 800 TL (less than $300). By doing their best to portray these refugees as Islamic terrorists, wealthy nations in the West are trying to justify their own selfish, heartless refusal to address the enormous human tragedy unfolding in the Middle East. Some of us are actually of the opinion that the root cause of that tragedy is the acquisitive greed of those Western nations. But leave that aside. According to Wikipedia, Germany, with 600,000 Syrian refugees is the most hospitable European country, although Sweden, with 110,000, does better on a per capita basis. France has 12,000, the UK 11,000, and the USA 7,123. When it comes to donations to international organisations working with displaced persons, Turkey again tops the list with $8 billion. The United States, God bless them, are second with $4.6 billion. The UK government has given $1.5 billion, Germany 1.3 billion – and France? $150 million. These figures, incidentally, do not include government spending on domestic hosting and development, where, of course, Turkey, with its three million asylum-seekers, again comes out on top. Desperate not to have more of these poor desperate souls at their own doorsteps, European Union member states negotiated a deal with Turkey earlier this year. A recent article in The Economist acknowledged that “In exchange for visa-free travel for some of its citizens, €6 billion ($7 billion) in refugee aid and revived talks on possible future accession to the EU, Turkey was to take back migrants who had made their way to Greece and try to secure its borders.” It’s not that easy, of course. Turkey has over 4,000 km of coastline on the Mediterranean and Aegean Seas, and Greece, thanks to past meddling by Western Powers, owns dozens of islands within a stone’s throw of the Turkish mainland. It’s your history, people! What happens when you renege on an agreement? As far as I am aware, there hasn’t been any money forthcoming either. Only accusations that Turkish border guards have begun shooting Syrians trying to cross into Turkey. Well, I don’t know about that – but I do know that there was another news item this week reporting an attack on a boatload of refugees by a Greek coastguard vessel. The inflatable boat with thirteen Afghans on board was heading for the island of Kalymnos, about 20 km from Turkey’s Bodrum Peninsula and apparently failed to stop when ordered to do so by the Greek coastguards, who then opened fire. Three people were wounded, two of them Turkish. What do you make of that? It may be that those Turkish guys were breaking international law, and taking a fee from the Afghans for ferrying them to the Greek island. Maybe they did disobey an order to stop, and try to escape apprehension – but does that justify machine-gunning them in cold blood? Western governments are quick to insist on the rights of their own citizens, even when they have flagrantly broken the law in another state, drug smuggling, or whatever. That old anti-Turkey propaganda movie “Midnight Express” comes to mind. I hesitate to accuse the Greek government of ordering its coastguards to fire on unarmed refugees; or to suggest that the gnomes of Brussels have instructed Greece to do whatever is necessary to stem the tide. But I do wonder. Well done, the Germans! I hope it makes you feel better in some way. No doubt you have all done exhaustive research on the issue, listened to both sides of the story, weighed up the political implications of what you are doing, and decided that your vote here is somehow going to make the world a better place for all of us. Sad to say, however, I suspect not. I suspect you are just going with the flow, listening to the loudest voices, kidding yourselves that you are sensitive new-age humanitarians, and picking on a country you think is a soft target. French massacres of Algerians. The hypocrisy is breath-taking! Apart from the exaggerated numbers, the fact that the Ottoman Empire was not Turkey, and numerous other lies and distortions, there is the matter of selective morality. Is it only Jews and Christians who can be genocided? What about the 1.5 miilion Algerians killed by France ? What about the Native Americans virtually wiped out by deliberate US Government policies? What about the Australian Aborigines? The Russian ethnic cleansing of the Caucasus? How many Muslims and Jews lived where modern Greece now is before the modern Greeks took over? How many innocent civilians have died and continue to die in Iraq? Afghanistan? Syria? Killed by whom, with weapons manufactured where? I read that Turkey’s government is trying to ‘blackmail’ Europe on this matter using the refugee agreement. Of course the issues are entirely separate, but this vote in the German parliament does seem pretty stupid at a time when Europe desperately needs Turkey’s self-sacrifice to stem the flood of refugees. One of many Armenian cemeteries in an up-market part of Istanbul. Check the dates on the gravestones. Then ask what happened to the historic Jewish cemetery in Greek Salonika. There are already 2.7 million Syrian refugees in Turkey, placing an enormous financial and social burden on the country’s resources. A similar number have escaped to Jordan and Lebanon. None of these countries is to blame for the chaos that is causing this ongoing human disaster, and rich Western governments whose thirst for oil is the fundamental cause have refused to respond to United Nations’ repeated appeals for assistance. Western Europe does not want these poor displaced people. They want Turkey to deal with the situation so they can get on with their self-indulgent lifestyles. They offered Turkey a package involving visa-free travel and fast-track entry to the European Union. In fact they will never deliver on either of those promises. All that’s left is a bribe of a few billion euros to their poor neighbour to close their borders and keep the refugees out of sight and out of mind. They may learn to their cost that Turks are proud people. George W Bush offered a large bribe back in 2003 for Turkey to join the ‘Coalition of the Willing’ in ‘Operation Iraqi Freedom.’ The USA desperately wanted a Muslim country in there with them to dispel the criticism that this was another Christian Crusade. Turkey’s Government in the end turned down the bribe and kept out. Probably there are other, less independently-minded countries who now wish they had done the same. May called child trafficking a “truly abhorrent crime” and urged the National Crime Agency to investigate the newspaper’s findings. She said the paper should “share its disturbing findings” with the agency, “so that appropriate action can be taken against the vile criminals who profit from this trade”. According to the Sun’s report, which appears on the front of Monday’s print edition, the desperate children are being sold to wealthy British families to be used as unpaid domestic servants. It reports that a trader it names as Makkhan Singh lined up children for its undercover reporter to pick from and said: “We have supplied lads who have gone on to the UK. “Most of the ones who are taken to England are Nepalese. “For the supply of a boy, minimum 500,000 rupees [£5,300]. Then you will have other costs associated with taking him to the UK, but that’s your responsibility extra to what you pay us. A 7.8 magnitude earthquake struck Nepal on 25 April last year, killing almost 9,000 people and leaving millions in need of aid. In the light of this report, it may be that Turkey is going about dealing with its refugee crisis in entirely the wrong way. Clearly appealing to the better nature of Europeans is not working. The fact is, they are not interested in sharing their wealth with displaced persons from Syria and elsewhere in the Middle East. In fact European Union authorities have begun sending back to Turkey asylum-seekers who had already managed to reach Greece. It does seem, however, that there is a ready demand in wealthy European homes for unpaid servants to do work that their own citizens expect a living wage for. And they are prepared to pay at least £5,000 per head. Well, Turkey is currently suffering economically on a number of fronts, and prospects are not good, with another tourist season approaching. On the other hand, there are now reportedly 2.6 million Syrian refugees severely stretching the country’s resources. Obviously they would need to be careful not to flood the market, which would have a depressing effect on prices – but a government-sponsored programme to provide a regulated flow of Syrian servants to the United Kingdom’s moneyed classes could be just what Turkey needs to make up a shortfall in its current account deficit. 200 Syrians at £5,000 each means an income of £1,000,000 – not to be sneezed at! And who’s to say that wealthy Germans, Scandinavians, Luxemburgians and whatnot wouldn’t follow the English lead? I expect President Erdoğan will be looking into it as soon as he gets back from his American trip.